Charitable Donation Con: Watch out for fake charities. Never donate over the telephone. Instead, ask to receive the solicitation in the mail. Never give anyone your credit card or banking information over the phone unless you made the original call. Door to Door Solicitation: Ask to see a business permit. (Most cities require a permit to solicit door to door.) Resist pressure to buy anything on the spot. If you do make a purchase, remember that you usually have three business days to cancel the contract. We recommend that you cancel the contract in writing so that you have documentation regarding your intent to cancel the contract. Contact the Better Business Bureau to check out the business. And to report a fraud or an unlicensed solicitor, call the police or local sheriff’s office. Financial Advisors and Investment Scams: Beware of investment seminars touting get-rich-quick schemes. Check out the “investment” before investing. Contact the Nevada Department of Business and Industry, Consumer Affairs Division. See their contact information listed above. Never take your checkbook or financial information with you to the first meeting or meal. Funeral and Cemetery Fraud: Watch out for high-priced sales pitches. Never sign a contract on the first meeting. Go home and think about it, and check references. Call the Better Business Bureau. Make sure that no additional fees can be charged after you have paid the contracted price. Living Trust Mills: Beware of the “trust mill” marketing schemes in which salespeople pose as experts in estate planning to gain your trust and confidence. These unqualified “experts” seek to obtain your personal financial information with the ulterior motive of selling you both a living trust and an annuity, which may not be appropriate for you. Such tactics may violate insurance code law and laws prohibiting the unauthorized practice of law. To report a scam call your local police department or sheriff’s office and report it to Elder Protective Services at the Nevada Division for Aging Services. Telemarketing/Mail/Internet Fraud: It can be difficult to distinguish legitimate telemarketers and e-mail solicitations from those that are not. Never provide personal information or send money to solicitors who contact you first. Instead, simply hang up or insist on calling the individual back after you have had time to check out the solicitation. Also, steer clear of any caller or mailer announcing that you have won a sweepstakes or foreign lottery and simply need to pay a “fee” or “tax” to collect your winnings. Americans lose an estimated $40 billion a year in telemarketing fraud alone, and another $4 billion in mail scams. And the victims are often senior. You could be approached through the mail, by telephone, via e-mail or at your front door. As the old adage goes: If it seems too good to be true, it probably is. The Attorney General’s Office Bureau of Consumer Protection, along with Nevada Consumer Affairs Division, have the authority to enforce deceptive trade practices and also perform community outreach services by providing seminars and meetings to inform consumers of their rights and to warn consumers about various scams operating in Nevada. Identity theft is the unauthorized use of someone’s personal data (a driver’s license or Social Security number, for example) for any unlawful purpose, such as to obtain credit cards, loans or services. Identity thieves may rummage through your trash, steal your wallet or skim encoded data from your credit card. To keep tabs on your credit, request a free credit report annually from each of the three major credit bureaus. To order free annual reports, call 1-877-322-8228 or visit the program’s Web site at: www.annualcreditreport.com. 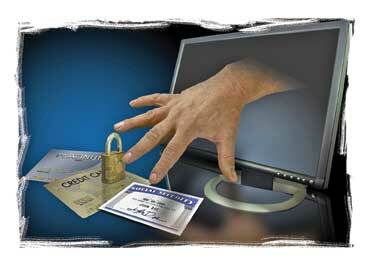 If you fall victim to an identity thief, take action immediately (see Protect Your Identity). For more information, visit the Web sites run by the FTC (www.ftc.gov, the Privacy rights Clearinghouse (www.privacyrights.org) and the Identity Theft Resource Center (www.idtheftcenter.org). The Attorney General, in cooperation with any law enforcement agency, may issue an “identity theft passport” to a person who is a victim of identity theft. The Identity Theft Passport, once issued, is used to prove that you are the correct person to use your identity, and that anyone else using your identity is not. What should I do if someone steals my credit card? Notify the credit card company immediately. It is also important to file a police report to document the loss and your response. 1. Call the credit agencies listed in Resources, put a fraud alert on your credit report and request a free credit report. 4. Call the Attorney General’s Office Bureau of Consumer Protection (775) 684-1180 or the Attorney General’s Fraud Hotline (800) 266-8688. If your mail is stolen, contact the U.S. Post Office. If your Social Security Card is lost or stolen, call the Social Security fraud hotline. (See Resources). If your driver’s license is stolen, call the local DMV.